Summer is a great time to enjoy a slower pace, fresh vegetables and herbs from the garden, and easy meals that come together without a lot of fuss. That’s where these bean salads, dips, and colorful sides really shine. 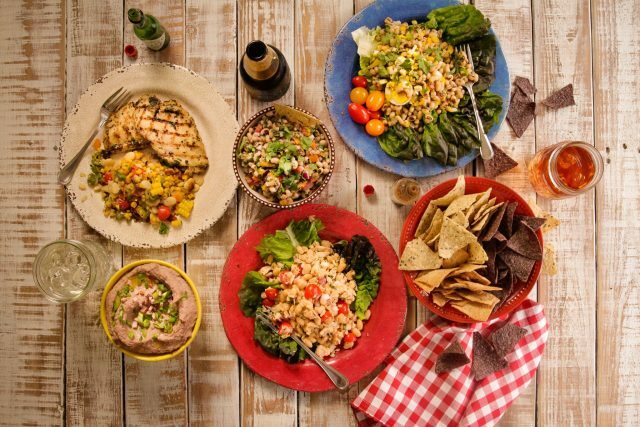 Since most of them are made ahead and chilled, you can treat yourself to a few nights of lazy, no-cook summer meals. They’re full of protein and fiber but also light and crisp — perfect when you want to beat the heat and still enjoy something wholly satisfying. Whether you’re craving a snack, a hearty sandwich filling, a salad, or a savory side, these recipes are sure to please. Cool and refreshing, Cowboy Caviar combines chilled, cooked Camellia Brand Blackeye Peas, tomatoes, bell peppers, red onion, and cilantro in a tangy red wine vinaigrette. Great as a hearty dip served with tortilla or corn chips, it’s also delicious alongside grilled chicken, burgers, or seafood. It’s a versatile recipe that’s easily tweaked to please regional palates — you’ll see similar recipes named Texas Caviar, California Caviar, Mississippi Caviar and more. Some add corn or avocado, and some substitute Pinto Beans, Black Beans, or Red Kidney Beans for the blackeye peas. No matter how you throw it together or make substitutions, you can’t go wrong. 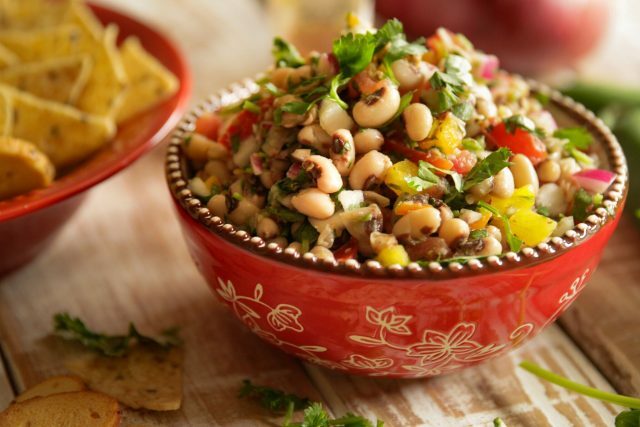 Cowboy Caviar is a crowd-pleaser — and before you know it, it’s all scooped up and gone. Hummus is a popular go-to snack or appetizer any time of year, but its cool creaminess is irresistible when the temperature rises. 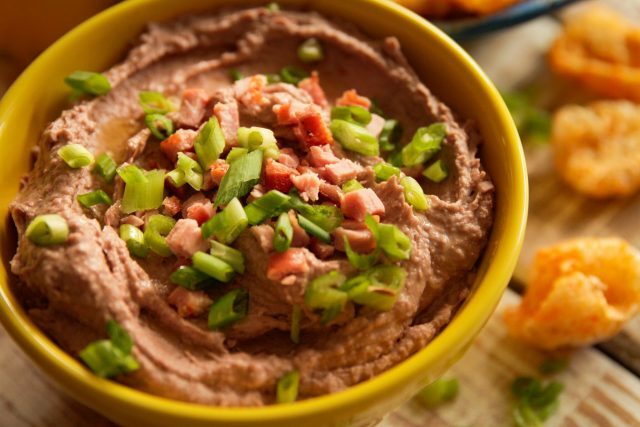 Curt Guillory’s Cajun Hummus recipe really ups the ante by substituting Camellia brand Red Kidney Beans cooked with onion and garlic for the usual Garbanzo beans, and easy, homemade pecan butter for traditional tahini paste. (Simply whir pecans in a food processor until a paste/butter forms. Talk about amazing depth and flavor.) Creole seasoning also adds zing to the hummus, and diced tasso and chopped green onions are stirred in right before serving to really take it over the top – especially when you serve it up with fried pork rinds! Believe it or not, the base recipe is vegan and very flavorful – so if you prefer to leave out the tasso, you’ll still end up with a great-tasting red bean hummus to serve with crackers, chips, and more. 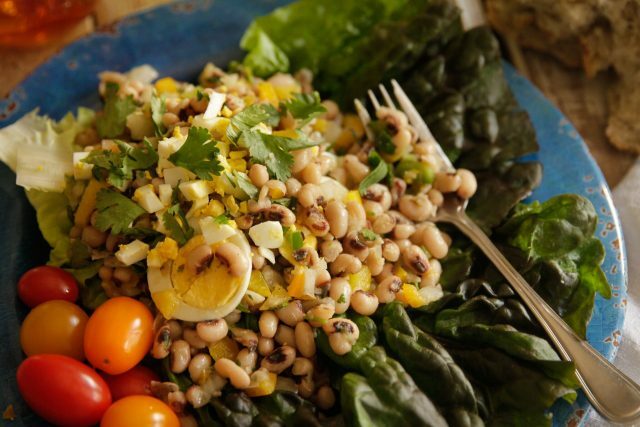 Marinated Blackeye Peas create a beautiful salad when served on a bed of red romaine lettuce. Mixed with chopped onion, bell peppers, cilantro, red wine vinegar, olive oil, and sliced, hard-boiled eggs, quick-cooking Camellia brand Blackeye Peas take on great flavor as they marinate in the fridge for a few hours. Pack the mixture in individual containers for lunch on-the-go, or bring to a potluck to enjoy with friends. Either way, it’s fresh and delicious — perfect for warm summer days. Tuna White Bean Salad is one of those simple, versatile recipes that’s great as a sandwich filling, on a toasted bagel, eaten with crackers, or piled high on a salad. 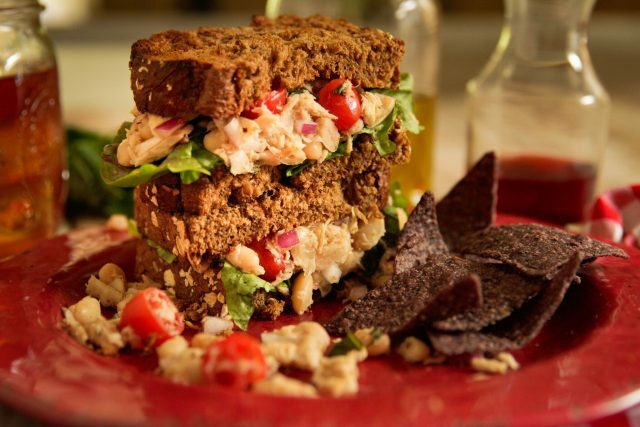 A healthier twist on traditional tuna salad, it’s mayo-free — instead combining canned tuna with cooked, cooled Great Northern beans, chopped red onion, grape tomatoes, olive oil, red wine vinegar, and fresh herbs (a must), such as basil or parsley. You won’t believe how light, tasty, and colorful tuna salad can be; plus, it keeps well in the fridge for up to a week and makes a quick lunch or dinner. Southern Summer Succotash is a delicious recipe that hails from our friend Mary Foreman over at DeepSouthDish.com. 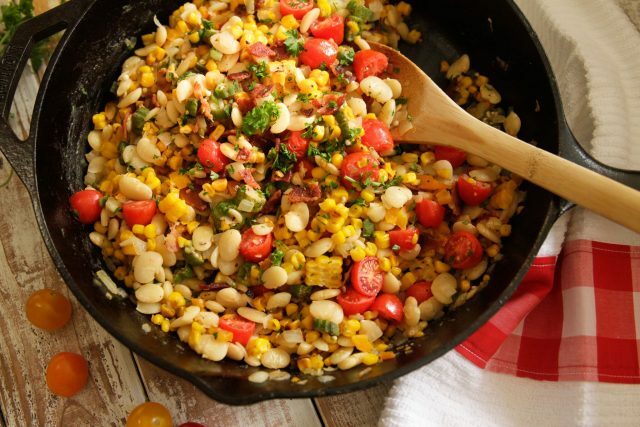 Succotash traditionally features a mix of baby lima beans, corn, and onions, but this recipe makes good use of a bounty of ripe summer vegetables like corn on the cob, tomatoes, bell peppers, Vidalia onions, okra, and of course, the creamy goodness of Camellia brand Baby Lima Beans. The vegetables are cooked in bacon drippings, which imparts deep, savory flavor, and butter and fresh parsley are stirred in right before serving. It’s a beautiful sight to see — and a delightful dish to serve friends and family. Make the most of casual summer eating with these wonderfully fresh and lively recipes.